Riding the crest of the world's biggest IPO, Jack Ma, founder of e-commerce giant Alibaba, has become the richest man in China with a fortune of USD 24.4 billion, says PTI citing the annual list of the country's wealthiest people. Jack Ma, 50, took top spot in the annual Hurun wealth bible from last year's number one, Wang Jianlin, founder of property developer Dalian Wanda Group, despite Wang's wealth growing 7 per cent. Wang ranked second on the list this year, with a fortune of 145 billion yuan. This is the first time that Ma with assets worth 150 billion yuan, has topped the list, all because of Alibaba's initial public offering in New York. It is estimated that Ma could rank 25th on the Hurun Global Rich List, state-run Xinhua news agency reported. 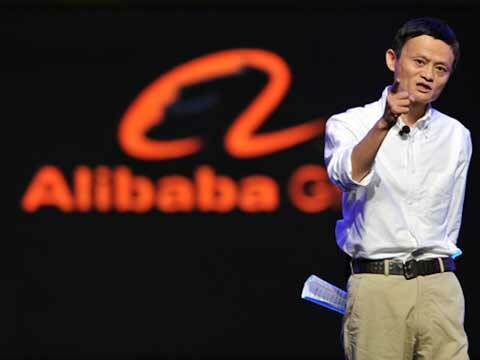 Ma, who had to convince friends to give him USD 60,000 to start Alibaba 15 years ago after being rejected by US venture capitalists, now heads a company worth over USD 200 billion after listing on the New York Stock Exchange on Friday. Five of the top 10 richest individuals in China come from the IT industry, illustrating its boom. Pony Ma of internet giant Tencent is at fifth with a wealth of 108.5 billion yuan, followed by Robin Li, CEO of Baidu.Com, with 105 billion yuan. Liu Qiangdong, JD.Com's chief executive officer, stands at ninth with 53 billion yuan, while Lei Jun, founder and CEO of Chinese smartphone brand Xiaomi, is at 10th with a fortune of 45 billion yuan. A total of 1,271 Chinese entrepreneurs on the list have a personal fortune of at least two billion yuan, compared to 1,017 last year. Almost half of the billionaires on the list amassed their fortunes from the industries of manufacturing and real estate. The threshold of the top 10 is 45 billion yuan this year, 20 per cent higher than in 2013.